This pink and black number smells so good! This is our impressions of the very popular VS Love Spell fragrance. 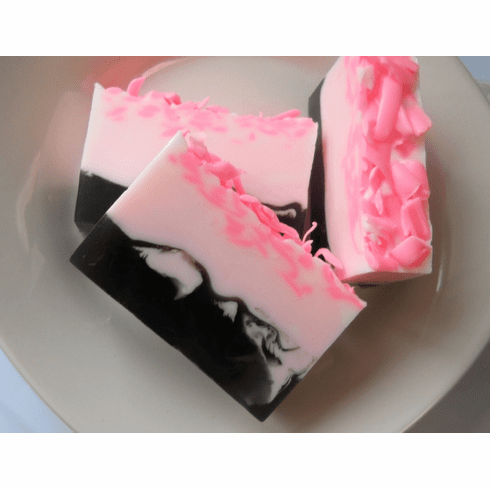 This glycerin soap contains lots of additional almond oil so this soap will leave your skin soft to the touch.